You have less chance of a chimney fire with EXCEL! 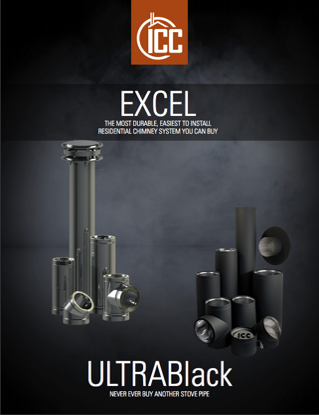 EXCEL is the lightest weight chimney of its kind on the market. This low thermal mass enables it to heat up quickly, reducing creosote formation. And EXCEL’s light weight helps make it the easiest chimney to install. 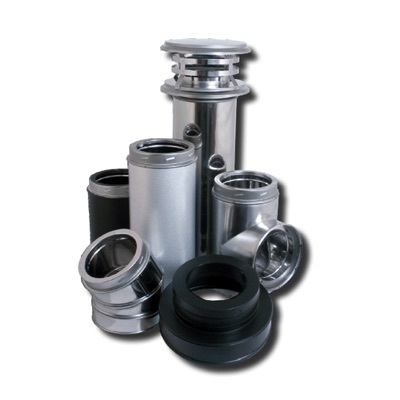 EXCEL incorporates continuous blanket insulation into a design which eliminates couplings between sections. This means there are no hot spots on the outside, or cool spots on the inside. A system designed and built to exhaust wood, coal, oil, or gas fired low heat residential appliances. These systems are commonly called a "Class A chimney" or a "Factory built chimney". These are mainly used on free standing stoves, furnaces, and fireplaces. This product comes in double wall or triple wall construction. This type of system is listed to UL 103, UL 103HT, ULC S629, or ULC S604.